The second At the Inkwell event of 2019 comes to BookBar Saturday evening. Diversity is the word of the week in Denver's literary scene, with everything from readings of award-winning middle-grade novels to Lighthouse mixers to poetry rodeos, charitably minded novel launches, and At the Inkwell gatherings. It's an Easter basket full of bookish blessings — just the thing to tuck in behind that chocolate bunny, if you're into that sort of thing. Get out into the Colorado springtime and embrace the many and varied ways in which literature blooms in Denver during mid-April. 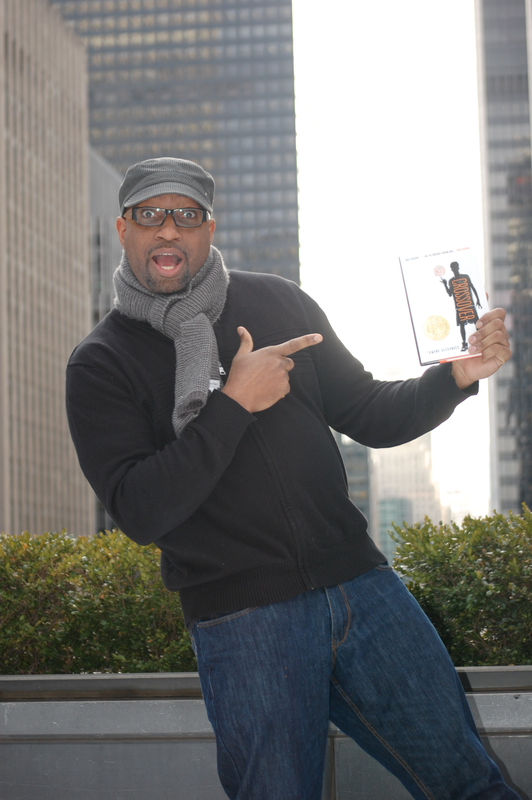 Tattered Cover partners with the Aurora Public Library to bring poet, educator and author Kwame Alexander to Tallyn's Reach for a special visit. Alexander will discuss some of his most popular middle-grade books, including the Newbery Award-winning The Crossover and the National Book Award nominee Booked. Don't miss this chance to hear from, meet and have books signed by one of America's best young literary voices. Suzi Q. Smith hosts the Writing in Color mixer at Lighthouse. Suzi Q. Smith, Denver poet and co-chair of the Denver Commission on Cultural Affairs, hosts this free mixer at Lighthouse Writers Workshop, providing Colorado writers of color a place to connect with peers and share ideas, inspirations, new work, resources and more. With events such as these, Lighthouse aims to offer a more demographically complete representation of the writing community of Colorado and spotlight and actively support the rich diversity of the state's literary scene. The event is free, but registration is required. Some call it a Podeo — a Poetry Rodeo. But whatever you call it, it’s a celebration of literary community that’s been going strong for 30 years, showcasing Colorado’s literary awesomeness with multi-dynamic performances and presentations, including workshops, readings, organizational showcases, tributes to poets past, a poetry-themed musical jam, and much more. And it all happens within the unique style and environment of the Mercury Cafe. Tickets are $10, and a complete rundown of participants can be found on the event’s Facebook account. Local award-winning author Mark Graham (Of Ashes and Dust) brings his new novel to BookBar. Song of Songs revives the untold story of Makeda, the Queen of Sheba, and Bathsheba, wife and mother of Israel’s first kings. It's a story of two powerful women and the choices they make, illuminating a history that's too often left dark. Graham has pledged half of the book's proceeds to Yemen humanitarian relief and is partnering with the Zakat Foundation of America, which will be matching his funds. It's the rare occasion to read a good book and do some good in the world. Saturday, April 20, 4 p.m.
BookBar keeps the literary party going with yet another event on Saturday: the latest At the Inkwell reading event. This month, host and Denver author Hillary Leftwich welcomes writer, journalist and professor Gabino Iglesias; Sarina Prabasi (The Coffeehouse Resistance); and writer/photographer Chris La Tray (One-Sentence Journal). It’s a wide range of incredible talent from all over the world, coming together for one afternoon on Tennyson Street. If that’s not the Denver literary scene in a nutshell, I don’t know what is.